These stamps are perfect for the Color Collage Technique in the April issue of the TJNL. New rubber from Flourishes - have you seen the new Menswear set? 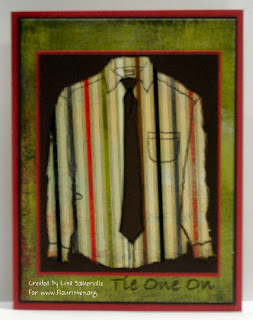 Great for masculine cards, and fun to paper piece! My April Issue of The Technique Junkies Newsletter arrived too! It's always a fun mail day when the new issue arrives. 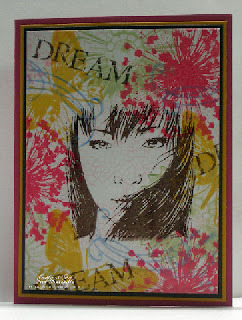 Allie at Croppinsville USA asked me to join her Design Team - she's carrying a lot of cool stamp lines, be sure to check them out. Allie's also looking for members for her Design Team - if your interested you can email Allie. Cool cards. I really like the shirt paper piecing! Congrats on being asked for the design team!! !